The Details are so cute. thanks. Cute cards! Loving the feather on the second! Awesome cards, thanks for the inspiration! 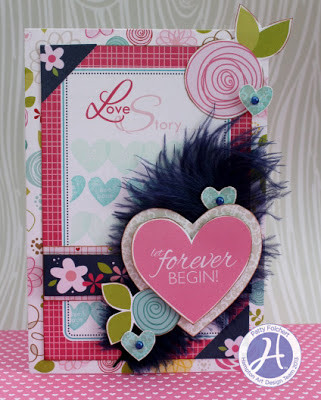 Pretty and cheerful cards! Love the feathers! love all the colors and the details!!! Love the Love cards!! Great colors and layouts!! Love how yhe colors male these cards just pop! Pam's card is so pretty and Patty's card is delightful! LOVE LOVE LOVE the feather! I am in love with Bella Blvd's feathers!!!! These stamps can be made for a cute card or a fancy card! Versatile is the way to go in my opinion! TFS! Love the cards, super pretty! the feathers are so cool on the card. Beautiful cards. I love it!! Thanks for another chance! I would love some new stamps and will be checking the BB ones out. Awesome cards! Love the feather one. Such pretty cards--love all the details! The cards are so pretty. Love the big feather, the crocheted heart. thanks for sharing. Super cute cards . I really love the feathers !! TFS. Such creative cards - those feathers, oh my! !